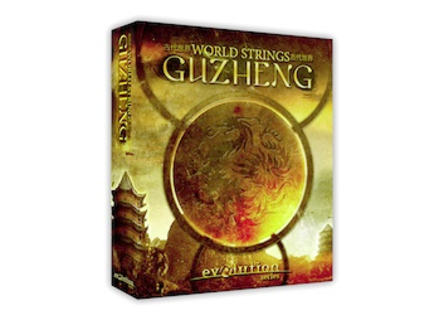 World Strings – Guzheng, Other virtual guitar from Evolution Series. Evolution Series launched its special Xmas promotion, with 25% discount off their sound libraries, including the brand new Guzheng. With Guzheng, Evolution Series debuts a new collection of stringed instruments for Kontakt 4 and 5 and leaves its world percussions aside (for now). 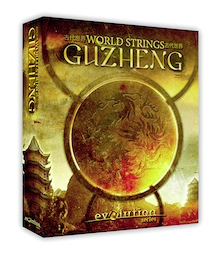 Guzheng features 18GB (Kontakt NCW Lossless format) of this Chinese string instrument, Evolution Series partnered with specialist Hong Sound to record this traditional instrument. Multiple dynamic layers and up to 5 round robin samples are available for each sound and you can control up to 4 microphone positions. World Strings - Guzheng is available for the special price of $99 instead of $119 until December 16th. 25% discounts also apply to the Percussions 2 bundle ($359.25 instead of $479) and individual Regions collections ($74.25 instead of $99) for the next five days at evolutionseries.com. 8DIO introduces Adagietto Adagietto, 8DIO’s new string library for Kontakt, features string ensembles based on the Adagio Series. Cosmosf updated to version 2.2 Sonic Lab has released a new update for its Cosmosf stochastic virtual synth for Mac OS X and Windows. The CableGuys Bundle on sale until Xmas Through December 24th, you can get all CableGuys’ plug-ins for the price of Curve.